Bangalore Film Society, Arghyam, Svaraj- Society for Voluntary Action Revitalization and Justice, Finger Lakes Environmental Film Festival, Ithaca College, USA (FLEFF), Mountainfilm in Telluride, Alliance Francaise de Bangalore, Charter of Human Responsibilities, Samvada, Karnataka Chalanachitra Akademi and Water Journeys- Campaign for Fundamental Right to Water are organizing the fifth edition of the largest international film festival on water- Voices from the Waters 2010. 2010 begins as a critical year not just for Voices from the Waters which completes five years of existence but for environmental consciousness on the whole, as the thoughts and concerns regarding the existence and well-being of our rivers and streams are now being voiced in the mainstream. Now more than ever, there is a call for awareness, dialogue and debate to inform the actions on which the survival of our lifeworlds depend. We are at an instant of much possibilities and hope. We are in search of the voices that will guide us to a critical departure from the current paradigms towards our vision of better futures. Voices from the Waters 2010: The 5th International Film Festival on Water, the biggest, most dynamic and diverse platform of its kind invites you to be a part of the festival by contributing short, documentary, animation and feature films on water and related issues. You can consider sending it to us. Please note that the categories are loosely conceived and your film does not have to necessarily adhere to them while focusing on the larger theme of water. All submitted films will be subject to a selection process by eminent members of the festival jury. Applicant must pay for shipment of films to Voices from the Waters. Submitted films will not be returned but will be part of Voices from the Waters library, one of the largest resources in the world for films on water. 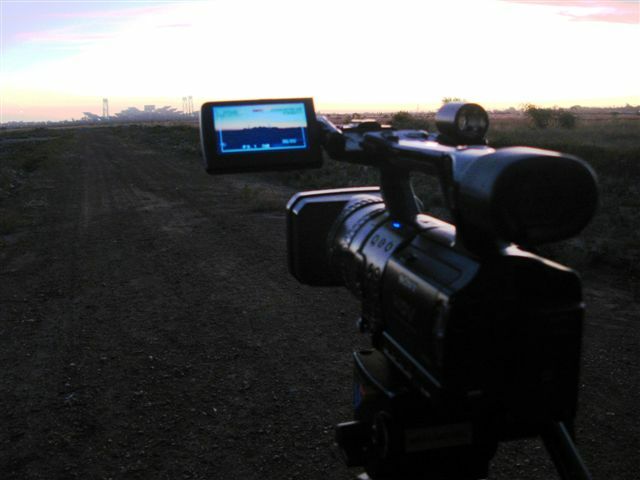 Voices from the Waters is conceived as a travelling film festival. The selected films after being premiered in Bangalore at the main event will be taken across to educational institutions, non governmental organizations, small towns and villages across India. 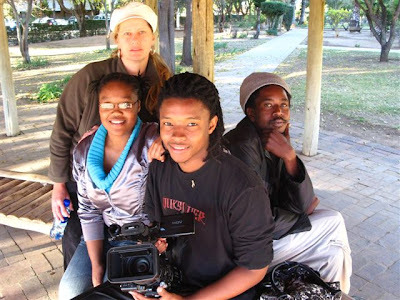 In November last year documentary filmmaker Miki Redelinghuys met with the Cascoland team in Amsterdam, who shared their ideas for a project in Mafikeng, the dusty capital of the North West province of South Africa. 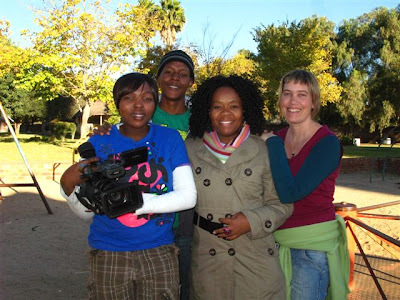 Inspired by the project, Cascoland In Mafikeng 2010, she went to Mafikeng in February 2010 to research a potential documentary about this. 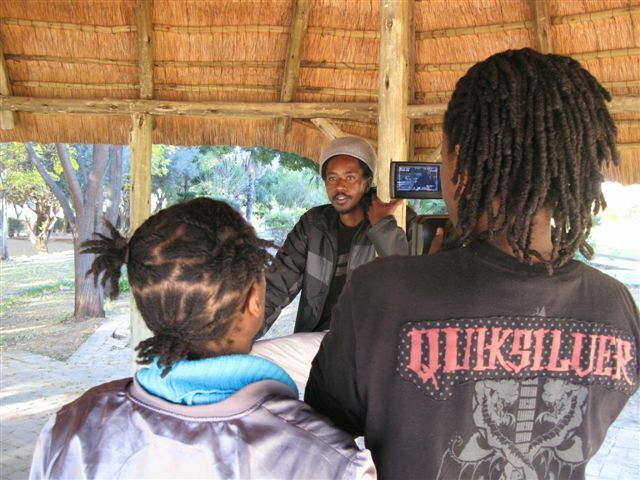 In the process she met with Willie Reetsang from the Mmabana Cultural and proposed to combine the film-making process with a skills transfer to some of the Arts students from the Mmabana centre. Willie embraced the proposal with enthusiasm and his team selected a group of 12 students to attend a 3-day intensive documentary film-making workshop, which took place 5-7 June in the Mmabana Centre of Mafikeng. The workshop was presented by Plexus Films Producer/Director team Miki Redelinghuys and Lauren Groenewald, along with Filmmaker, Maciej Kwiecinski, and UCT Film Honours student, TinaShe Makwande. The aim of the workshop was to demystify the art of documentary filmmaking, making the basic technology of filmmaking accessible to new filmmakers. Students were encouraged to broaden the way they think about documentary and some of them emerged inspired to try their hand at film-making. The participants, who were mainly fourth year drama students, were tutored in the basic skills of conceptualising a story, filming, directing and editing documentary film. During the three days the students produced four short group films. They were responsible for shooting and directing the films and worked with the editor team to construct and edit the short narratives. The outcome objective of the workshop was loosely built around the concept of the MY TOWN project launched by the Documentary Filmmakers Association in 2009. 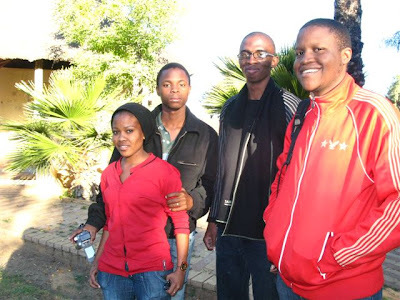 At the end of the workshop, the students pitched their ideas about a film that dealt with MY TOWN -MAFIKENG to the tutors. The selected projects will be mentored by Maciej, Miki and TinaShe during the Cascoland project. The aim is to have three short films that reveal an insiders interpretation of MAFIKENG. The students will have specific roles during the project from camera, director through to the script for the edit. 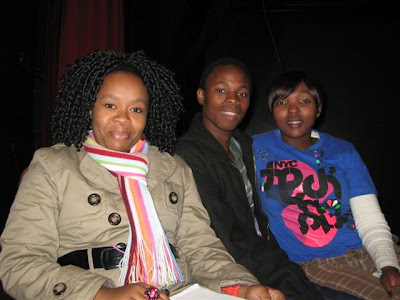 A student producer, Bontle Mafethe, was selected out of the group to oversee the project and focus on communications between the students and the mentors Tshenolo Nhlapo was selected from the group to work as trainee camera assistant and sound person with the camera crew. Click here to open June 2010 RFP BOOK, you can also go to the SABC website – www.sabc.co.za.